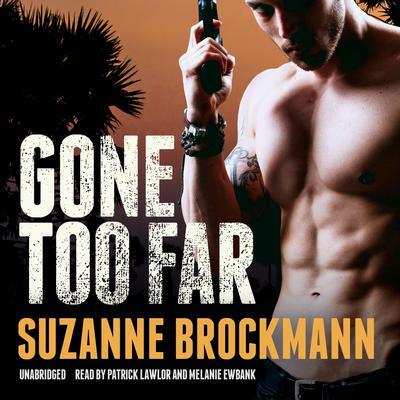 In her sizzling, award-winning novels of suspense, bestselling author Suzanne Brockmann delves into the adrenaline-rushed world of counterterrorism—and taps into the real passions of its brave men and women. In Gone Too Far she spins a story of action, intrigue, and romance as a US Navy SEAL and an FBI agent race to unravel a mystery while confronting their unresolved feelings for each other. In his career as one of America’s elite warriors, Lieutenant Sam Starrett can do no wrong. In his private life, Sam—the king of one-night stands—has done little right. Now, he’s waiting for a divorce and determined to stay active in his young daughter’s life. But when Sam shows up at the door of his ex-wife’s home in Sarasota, Florida, he makes a grisly discovery. His daughter is gone, and a woman lies brutally murdered on the floor. FBI agent Alyssa Locke’s relationship with Sam has been overwhelmingly intense and nearly catastrophic, yet it refuses to end. The last time she saw Sam was six months earlier, when they worked together to stop terrorists from assassinating the president. Much to her dismay, Alyssa is assigned to lead the murder investigation, and once again the two are face-to-face. When explosive information surfaces linking Sam to the still-unsolved assassination plot, the stakes are raised. With her reputation on the line and her loyalties in question, Alyssa is faced with an impossible dilemma: arrest a man she believes to be innocent or risk her career. While Alyssa tries to fight their intense attraction, Sam is determined to heat things up once again. And the complex case pushes them both to the wrong side of the law—and on the run to discover the truth. As more agents step into the chase, and with Sam’s daughter still unaccounted for, neither Alyssa nor Sam can predict just how deadly hot this situation is about to become. A thrilling novel that ranges back into the days of World War II, into friendships, families, liaisons, betrayals, and the code of honor that binds the US Navy SEALs, Gone Too Far is an electrifying experience in suspense—and a brilliant tale of lives lived on the edge. 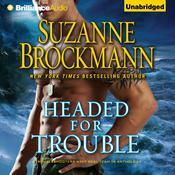 In her sizzling, award-winning novels of suspense, bestselling author Suzanne Brockmann delves into the adrenaline-rushed world of counterterrorism—and taps into the real passions of its brave men and women. In Gone Too Far she spins a story of action, intrigue, and romance as a US Navy SEAL and an FBI agent race to unravel a mystery while confronting their unresolved feelings for each other. In his career as one of America’s elite warriors, Lieutenant Sam Starrett can do no wrong. In his private life, Sam—the king of one-night stands—has done little right. Now, he’s waiting for a divorce and determined to stay active in his young daughter’s life. But when Sam shows up at the door of his ex-wife’s home in Sarasota, Florida, he makes a grisly discovery. His daughter is gone, and a woman lies brutally murdered on the floor. FBI agent Alyssa Locke’s relationship with Sam has been overwhelmingly intense and nearly catastrophic, yet it refuses to end. The last time she saw Sam was six months earlier, when they worked together to stop terrorists from assassinating the president. Much to her dismay, Alyssa is assigned to lead the murder investigation, and once again the two are face-to-face. When explosive information surfaces linking Sam to the still-unsolved assassination plot, the stakes are raised. With her reputation on the line and her loyalties in question, Alyssa is faced with an impossible dilemma: arrest a man she believes to be innocent or risk her career. While Alyssa tries to fight their intense attraction, Sam is determined to heat things up once again. And the complex case pushes them both to the wrong side of the law—and on the run to discover the truth. As more agents step into the chase, and with Sam’s daughter still unaccounted for, neither Alyssa nor Sam can predict just how deadly hot this situation is about to become. A thrilling novel that ranges back into the days of World War II, into friendships, families, liaisons, betrayals, and the code of honor that binds the US Navy SEALs, Gone Too Far is an electrifying experience in suspense—and a brilliant tale of lives lived on the edge. Two things one can always count on in Suzanne Brockmann’s books: heart-stopping suspense, and heart-throbbing bedroom scenes. She follows her tried-and-true formula again in Gone Too Far, the third book in her Troubleshooter Series. Her stories follow a familiar theme, tracking the dangerous exploits of a team of U.S. Navy Seals, and the relationships that entwine them—on and off the job. Lieutenant Sam Starrett and FBI Agent Alyssa Locke, while coping with their off-and-on romance, battle the clock in a frantic effort to capture elusive terrorists and foil their plot. Narrators Patrick Lawlor and Melanie Eubank are well cast to tell the story, continually shifting the action back and forth among the story’s central characters. Rarely a dull moment. 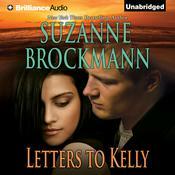 Like any good series, once you read one of these books, it will be difficult not to develop a kinship with Brockmann’s unique characters and want to join them on all of their thrilling adventures, and romances.